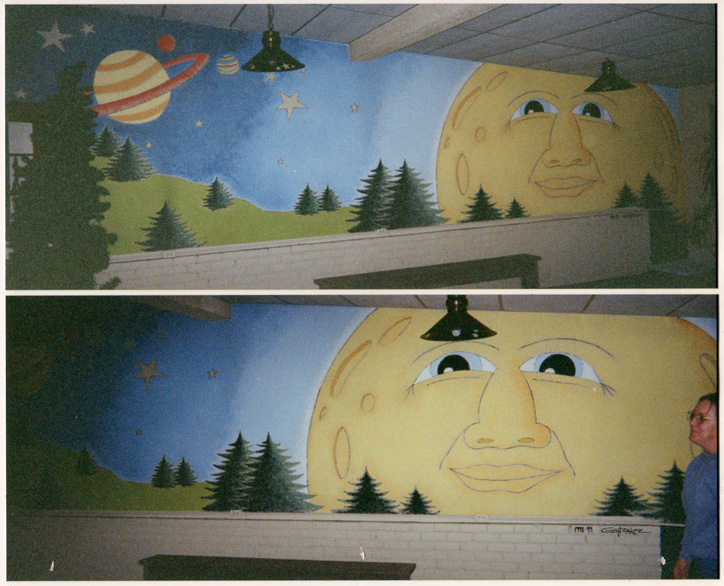 This was my first full color mural. It was a lot of fun to make because I had never done a mural before. It was scary and exciting at the same time. Kind of like a roller coaster ride! I did it for a company called Beyond the Rainforest, in 1999.